Pakistan’s Ministry of National Health Services and Regulations issued, on 19 December 2017, its order requiring an increase in the size of pictorial health warnings on cigarette packaging to 50%. The order was published in the National Gazette on 28 and 29 December 2017 (see attached). he increased size warnings are to be implemented from 1 June 2018. According to the order, the size of warnings will further increase to 60% coverage in 2019. Currently cigarette packets feature pictorial warnings depicting mouth and throat cancer on 40% of their main surface areas. These developments follow a WHO FCTC Needs Assessment Mission to Pakistan from 14 to 17 March 2017. A report of the mission was subsequently published in June 2017. In relation to Article 11 of the Convention (packaging and labelling of tobacco products), the report recommended that effective and coordinated efforts be made for the enforcement of expanded pictorial health warnings. The WHO FCTC Article 11 1. 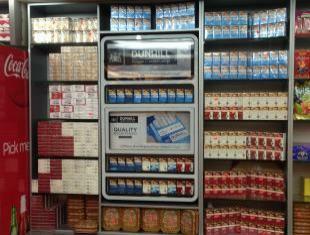 (iv) states that warnings on tobacco products ‘be 50% or more of the principal display areas’. It is a promising sign that the Pakistani government has made such rapid advances towards and beyond this end. The issue to increase the pictorial warning size on cigarette packaging was given by the federal cabinet earlier in December. It was done under the auspices of the cigarette ordinance of 1979. Pakistan’s Cigarette (Printing of Warning) Ordinance 1979 (Ordinance No. LXXIII of 1979) requires health warnings to be printed on packets of cigarettes. It prohibits the manufacture, sale and possession of cigarette packets without such warnings. The Pakistani government has initiated the increase of the size of the pictorial warnings on tobacco products from 2010 onwards. The WHO FCTC needs assessment report also highlighted the need for considering plain packaging on tobacco products. The report suggested that focus group testing should be conducted on options of different sizes of pictorial warnings on tobacco packages with and without plain packaging to create new and local evidence to support stronger legislation. This announcement of the expansion of pictorial warnings on tobacco products is a very positive step for tobacco control in Pakistan and provides a solid foundation for further strengthening of tobacco control for the years to come. More information is available from Dr Ziauddin Islam, director of the Tobacco Control Cell (e-mail: ziauddin@tcc.gov.pk) or Muhammad Javed, project manager at the Tobacco Control Cell (e-mail: javed@tcc.gov.pk).